BASKETBALL SPOTLIGHT NEWS: AC Showcase Highlights: Corey Floyd Jr. Steps Up! 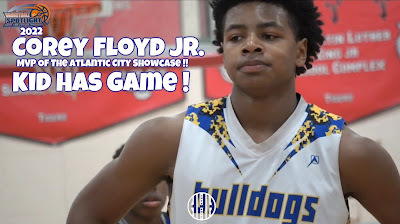 Corey Floyd Jr. used the Atlantic City Showcase to shine bright. The wing guard put the team on back several occasions while showing his full arsenal. Check out his highlights and remember we are just getting started. More footage and recaps are on the way.